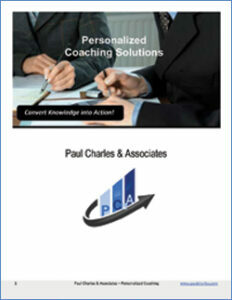 Picking up where traditional training programs leave off, coaching can help people turn learned concepts into action. We take a positive approach to coaching, helping sales managers become leaders and helping people at all levels learn to make things happen in the marketplace. Effective performance, whether running a business, a sales territory or a sales team, frequently depends upon objective feedback, clear direction, and encouragement. An easy way to evaluate the potential impact a professional coaching relationship might have is to complete our preliminary analysis form. It will require only about five minutes, and will enable us to make some initial determinations and recommendations. Our positive but consistent approach to coaching relationships is ideal for building confidence and also for helping people maintain accountability to action plans, timelines, and working on the right things. These informal partnerships enable clients of all types to more rapidly achieve desired results and enjoy greater levels of personal job satisfaction and success. If you'd like more details or have additional questions, you might download and review our personal coaching guide.